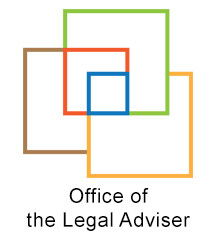 The Office of the Legal Adviser supports management by counselling – including through its participation in standing internal governance committees – on all legal aspects of the internal administration, such as personnel issues and contract management including procurement of goods and services, leases of premises and purchases of property. The Office of the Legal Adviser provides legal advice to the Human Resources Development Department (HRD) on the development, application, interpretation and amendment of personnel related policies, regulations and rules. In this connection, it participates in the work of standing committees such as the Compensation Committee, theILO Staff Pension Committee or the Staff Health Insurance Fund Management Committee. In employment dispute matters, the Office of the Legal Adviser formulates recommendations to the Director-General in respect of final administrative decisions following internal appeal proceedings before the Joint Advisory Appeals Board (JAAB) and represents the Director-General and the Director of the ILO International Training Centre (Turin, Italy) in proceedings before the ILO Administrative Tribunal. Moreover, it provides advisory services to Office units and staff members on all questions relating to compliance with duties and obligations of officials under the Staff Regulations and the ILO Accountability Framework. This framework comprises the full range of legal instruments, regulations and rules, policies, procedures and formally documented functions, responsibilities and authorities which, taken as a whole, establish the accountability of staff at all levels for their decisions, actions and omissions (Director-General’s Announcement No. 137 and Office Guideline No. 195). ILO staff members are expected to live up to the highest standards of integrity, loyalty, independence and discretion, both in their professional and private lives, as detailed in the Standards of Conduct for the International Civil Service, 2013 and the Principles of Conduct for Staff of the International Labour Office, 2009. ILO staff are also bound by the rules governing outside activities and occupations (Office Directive No. 71, Office Procedure No. 70 and Office Guideline No. 67). The Office of the Legal Adviser liaises with the Ethics Officer (Office Directive No. 76 and Office Procedure No. 186) on matters related to enhancing transparency and accountability in the ILO and the promotion of ethical standards. It also participates in the work of the Committee on Accountability which is mandated to examine cases of fraud as well as cases of negligence or disregard of Office procedures resulting in financial or other loss to the Office. The Office of the Legal Adviser in coordination with the Internal Services and Administration Department, the Financial Management Department, and/or the Procurement Bureau, as appropriate, reviews the legal aspects of leases for premises of field offices, programmes and projects (Office Procedure No. 185) as well as all tenders and non-standard contracts for the procurement of goods and services with a view to ensuring that they comply with applicable ILO regulations, rules, directives and procedures, and properly reflect the Organization's status and immunities. To this end, it has developed model lease agreements; it participates in the work of the Headquarters Procurement Review Committee (Office Procedure No. 240); and it represents the Organization in arbitration proceedings or other action taken for the settlement of disputes. The Internal Governance Documents System (IGDS), introduced in 2008 to replace 14 different series of circulars under the previous system, establishes a new structure of classification of internal governance documents comprised of Director-General's announcements, Office directives, Office procedures, Office guidelines and Information notes. Since 2012 a series of Internal Governance Manuals are also being developed. The Office of the Legal Adviser participates in the formal approval process of all internal governance documents (Office Directive No. 1) for the purpose of ensuring the overall coherence and quality of those regulatory texts.